PADRAIG HARRINGTON IS A GAMER. I say that because Harrington had never withdrawn from a tournament in his 20-year career until today. His first WD came at the European Tour's flagship event, the BMW PGA Championship at Wentworth Club in Surrey, England. Harrington, 43, hurt his shoulder earlier this week in the gym. He teed it up in Thursday's opening round at Wentworth but only lasted two holes. He went par-bogey before walking off. 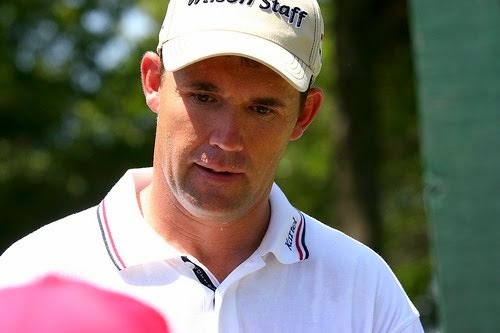 "I've never pulled out before, and I've had some pretty bad injuries at times," Harrington said on Wednesday. "If there's a physical way of me teeing it up, I will tee it up." On Wednesday Harrington also said his injury was "like frozen shoulder" making it difficult to lift his arm. The three-time major winner expects to be back in action next week at the Irish Open. "It will be absolutely no issue whatsoever for the Irish Open. This is an injury that with a couple of physio sessions will be gone in about a week."